Some of the most important people in S. Michael Wilcox's life never lived. They've only existed in the pages of classic literature. There's Alyosha in Fyodor Dostoyevsky's The Brothers Karamazov, Jean Valjean in Victor Hugo's Les Miserables, Atticus Finch in Harper Lee's To Kill a Mockingbird, Elinor Dashwood in Jane Austen's Sense and Sensibility, and Huckleberry Finn in Mark Twain's The Adventures of Huckleberry Finn, to name a few. Wilcox considers these characters to be dear friends for the universal truths and lessons they've taught him in multiple readings of their stories. It's no accident that their writings have been made into Broadway musicals and films. We see the footprint of God resting on their authors, Wilcox said. "They're not real. They arose out of the brilliance, the sensitivity, the humanity of great people," Wilcox said. "There aren’t many people we can talk to who can match the insight, the expansiveness of soul, of people like William Shakespeare and Jane Austen. They thought deeper. Their humanity is broader. I don't get to talk to many people that have that depth. But in their works, I get to have that conversation with them and I always leave a better person when I'm done. Wilcox explains his classic characters, along with their lessons, in his new book, Out of the Best Books: Eternal Truths from Classic Literature. For Wilcox, a retired Latter-day Saint Institute instructor, author, and travel group tour host, classic literature has been a lifelong love affair. His mother started him reading books by Oscar Wilde as a little boy before he went on to study literature in college and wrote his doctoral dissertation about the works of famed Christian author C.S. Lewis. Name almost any classic book or author and Wilcox likely knows something about it. Out of the Best Books, which stems from a scriptural phrase in Doctrine and Covenants 88:118, is one Wilcox has wanted to write for some time. "I wanted to write a book on great characters in literature and how the gospel is taught in great writing. I wanted to pull from different countries and different types," Wilcox said. "I wanted people to see you'll find greatness in a lot of places. I go back to that fundamental truth of my life that God is speaking all the time, everywhere, to everybody. Let's find his voice and be edified and lifted by it all." In a recent interview with the Deseret News, Wilcox discussed the book, his passion for classic literature, and how it has edified his life. Deseret News: You say you travel about 240 days a year around the globe. As a tour host, what is your favorite destination? S. Michael Wilcox: Oh, you know, God didn't make a bad country. I like them all really. You have to decide what kind of experience you want. Do you want to natural beauty? It's hard to beat Antarctica. The Chilean fjords, that's a beautiful spot. Antarctica is where God goes for vacation when He needs to get away from everything. It’s so beautiful, really beautiful. If you want a spiritual experience you go to Israel, the Holy Land. If you want an adventure, I like Central America. Europe has all kinds of culture: literature is England, art is Italy. I love Russia, China. There’s just a lot of different places and they all offer something different. DN: You've published about 30 books over the course of your career. What motivates you to want to tackle a book project? SMW: You have to have a passion for it. Every time I finish a book I usually say, "Okay, this is it. I don’t need to write anymore." I certainly don’t want to write just to write. I don’t need to write for any financial reason, thank heaven. I’m not under any pressure to publish at the university or anything. So I have to believe I have something to say that I think will lift, edify, and bless people’s lives. Either a scriptural theme, a new insight in the scriptures, or something that I’ve learned traveling. Traveling has really opened my mind and heart up. DN: In this book, you share eternal truths found in classic literature. Why would it be important for people to train themselves to look for gospel principles in all aspects of life? SMW: I think sometimes we narrow down our voices of God. In other words, God’s voice for me earlier in my life was the prophets and apostles, the scriptures, general conference. That’s kind of how He speaks to people. Now having read a lot and traveled and being introduced to different cultures, I would say God has many voices and He’s been speaking to His children in every way He can—all the time, everywhere. If we put that in our minds as the assumption, instead of the assumption of He spoke to the Old Testament prophets, Book of Mormon, the Savior, and then we have the Restoration and few reformers here and there. 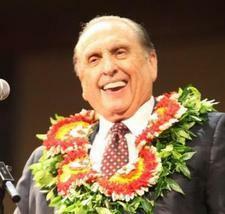 If we would just realize that He doesn't always speak with just apostles and prophets. If you can’t hear a prophet or apostle for whatever reason, maybe you can hear the words of a sage in China, or a philosopher, or an author, a playwright, a poet, a musician, an artist, scientists. As soon as I put into my mind that God speaks, God has been speaking and speaks all the time, everywhere, in many different ways, then I’m looking for it. So if I pick up a piece of great literature or I looked at a renaissance painting, or I hear a piece of music from one of the great composers, read about a great life—He also manifests Himself in the lives of great men and women. Their lives are the scripture, what they loved for and how they lived. Once you start looking for it I just find it everywhere. It's like an orchestra. Apostles and prophets, they have a sweet sound, but there are woodwinds, brass, and various kinds of strings and God just plays them all. He just orchestrates them all so that goodness, truth, and beauty come to man in every way He can get it down to us. DN: Does one of the characters you included resonate with you more than the others? SMW: Yeah, it’s like trying to pick a child. If I had to pick one character, boy, that would be really hard. Probably Alyosha Karamazov is the most Christlike creation ever produced by an author, by a literary mind. I often pray, "Lord, give me Alyosha’s heart because it's such a beautiful heart." Jean Valjean, people are more familiar with him. And The Brothers Karamazov is not an easy read. It’s like Isaiah, and you have to work at it a little harder, but it’s well worth the effort. Whereas if you’re going to read Anne of Green Gables, her principles, her joy of life is just contagious, it's infectious and you just receive it. Les Miserables, that's also a little harder read. I love Jean Valjean because Hugo has him fighting always to be good. We get the idea that he gets the candlesticks and he's changed, and it is, it's a magic moment. One act of kindness changes 19 years of suffering. You don't get it in the musical as much. You do get in the novel that he struggles and struggles and fights and fights to stay good, which is what life is all about. I really like them all. It's hard to pick a child, but probably Alyosha Karamazov is close to my heart. Atticus Finch is the best parent ever created. DN: Which characters didn't make the final list? SMW: Natasha Rostova, of Leo Tolstoy's War and Peace. William Wordsworth has written so many beautiful things about the power of nature in our lives. That’s not a character and most of these are people, but I wrestled long and hard about doing one on William Wordsworth. What he's learned from nature, what he felt beautiful things would do for you, to see something like Southern Utah, the national parks and mountain scenery, that it changed you, made you kinder, more sympathetic and more in tune to people. So if I were to add another chapter, it would have been probably something on the power of nature. DN: How has classic literature helped you to better understand the power of the Savior's parables? SMW: I probably read the scriptures the way I read literature. In other words, my mind is looking for important words, themes, and character traits. So reading great literature has opened the scriptures up to me in ways we could take hours to talk about, just like reading scripture has opened up great literature. Anciently, the power was in the spoken word. The thinker was a speaker. Today, the thinker is a writer. So all the greats, Confucius, Jesus, Muhammad, Socrates, they never wrote anything. Their disciples wrote it. But Jesus created the Prodigal Son, and it's sometimes a bit of a shock to people to realize that's a fictional story. The Good Samaritan. Now they could happen, just like there could be an Aunt Shirley, and there could be a Huck Finn and an Atticus Finch. But Lazarus and the rich man, these are some of the most famous, most powerful, poignant fictional characters. So when the Savior was asked the question, “What do you have to do to gain eternal life?”—it's interesting that He basically answers that question, not theologically, not doctrinally. He answers it literally. He answers it with a story. You think about how many different kinds of religions, how many members of our own faith would answer the question, "What do I have to do to gain eternal life?" We'd be off in doctrines, commandments, ordinances, activities and things like that. And Jesus just tells the story called the Good Samaritan. So His answer to that question is essentially "Be kind to everybody all the time, anywhere you find them in whatever need they have." That's a literary answer. I think Christ is one of the great authors, so I put Him in. It would be hard for me to leave Him out. The parables show the power of characters. DN: Having studied the writings of C.S. Lewis and his friendship with J.R.R Tolkien, what do you think about the new film coming out about Tolkien's life? SMW: Anything that brings out good reading for people, I’m all in favor of. Tolkien set the stage for our love affair with fantasy. Everybody is a Tolkien wannabe. Nobody has matched him. I discovered Tolkien when I was a freshman at BYU. I was 17 and it was finals, just before Christmas. Somebody said, "You ought to read The Hobbit." I said, "I really don't have time." I read the first page or two and I was just hooked. So I would study for a final and then go take it and say, "Okay, I've got two hours to relax my mind before I have to study for another one," so I’d pull out Hobbit and start reading. I really enjoyed it. I discovered Tolkien before Lewis's Chronicles of Narnia. Then I went that Christmas to read Lord of the Rings. I’ve read it multiple times. There's kind of a rule I try and put in my mind when I'm reading a biography, but especially literature: If it's not worth reading multiple times, it's not worth reading once. Great characters are what all the great authors really have. They create people that become our friends, part of our soul’s furniture, they teach us so much. DN: What do you hope readers will take from the experience of reading your book? SMW: Well, I guess there are multiple things you're hoping people will gain. I want them to see God's voice everywhere. That's a standard goal, desire, initiative, controlling factor of my life. When I travel and take people I want them to see God has more than just one voice. And this is a very powerful voice. If I could inspire somebody to go back and read something maybe they read a long time ago, or to see a truth in it they didn't see, or to say, maybe I should read something a little better than what I'm reading. A lot of people read for entertainment. It's okay to read for entertainment. I would hope to just add a factor to that and say the first thought on reading should be I want to read for edification. The nice thing about great literature is it can edify and entertain. You want both of those. Sometimes if you're aiming at edification in your reading, primarily above entertainment, you can expect to probably have to put more effort. It'll draw more out of your mind and heart, but you're enriched for it. So if you can get edification, entertainment, and enrichment—the three Es—there are so many good things to read where you can get it all. You've got to shut the brain down, I recognize that, but I would hope that maybe if somebody read something out of this, they might say, I think I'm going to pick up a good book and read something that will edify me. Another thing I would say to people is always read with a pencil in your hand. If you will read with a pencil, you'll start to see the beauty. Great literature prepares you for things. I was more prepared for my wife's passing because I had already experienced those emotions deeply in Tolstoy, Louisa May Alcott, Charles Dickens, and William Shakespeare. If anything could prepare you for some of those, for love, for our children, for conflict, great literature and captures life and we vicariously experience that and it prepares us for similar situations in our own life. But only great literature does it.